$139.99 Seen a lower price? 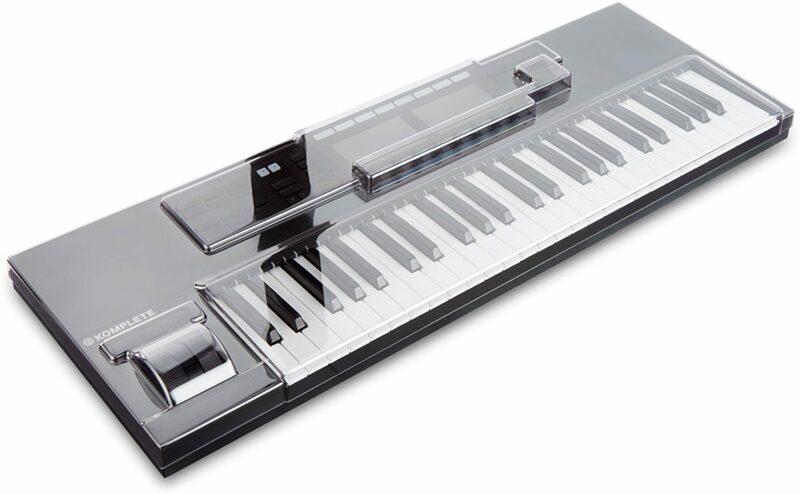 The Decksaver Native Instruments Kontrol S49 Cover is a high-quality cover designed to accommodate the Native Instruments Kontrol S49 keyboard controller, protecting your equipment while on the move. The custom moulded protective cover is constructed from a highly-durable polycarbonate shell for optimal strength. The cover helps to protect the Native Instruments Kontrol S49 from dust, liquid, accidental impact damage and more while on the move. The precision trimmed design of the Decksaver cover allows you to accommodate cables and more so your equipment is always ready to go. With its smoked, clear finish, the cover allows you to see your controller at all times.